This time last year, we were preparing for a new beginner class and a new slate of activities for 2012. The results of that planning exceeded our expectations. 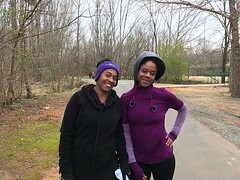 In reflection, March 13th was the first day at the greenway where we kicked off the Couch to 5k program. 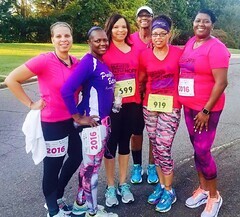 The parking lot initially filled with existing members, then a few new runners began arriving and before we could count, over sixty women were gathered at the greenway!! After 12 weeks of coaching, whistle blowing and unselfish support and encouragement, we ran our first 5k, the King Tiger!! That followed with consistent dedication, more members, races, educational classes and clinics and those “feel good” runs on the greenway. 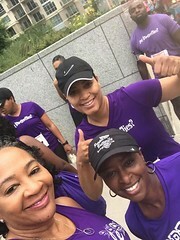 Now “bridge and back” is considered a short run, the average member weight loss is 20 pounds, and medical statistics reflect decreased blood pressure, lower cholesterol and medications that are no longer needed. 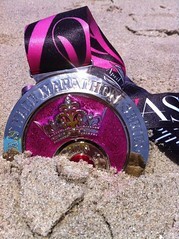 There is also the fact that over thirty, yes thirty , PBRC members successfully ran a half-marathon on Kiawah Island last week!! This entry was posted in About PBRC, PBRC Races. Bookmark the permalink.